Scott Rohrer from South Carolina wins his third-straight Special Olympics USA Games gold. Rohrer won by 14 shots Wednesday, overcoming a slow start. "It was better than awesome," he said. REDMOND — You don’t become a champion without the ability to overcome some adversity. And Scott Rohrer from South Carolina faced some early Wednesday in his attempt to win the Level 5 High Performance stroke-play competition at the Special Olympics USA Games for the third-straight time. Rohrer, who won at the 2010 Games in Nebraska and the 2014 Games in New Jersey, began Wednesday’s final round at the Willows Run Eagle’s Talon course with a seven-shot lead, but began his day with a double bogey on the first hole, then bogeyed the next two holes. 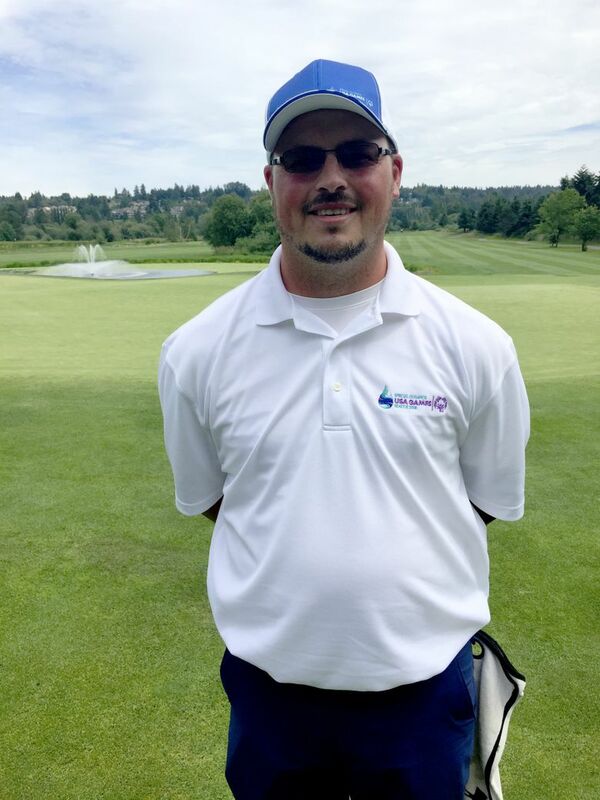 But the long-hitting Rohrer settled down, then blew away everyone else with a birdie-eagle-birdie stretch on holes 9-11 and cruised to a 14-shot victory in his division over Tyler Lagasse and Spokane’s Peter Condon. Rohrer, 29, said he can drive the ball 310 yards. He finished with a 1-over 73 and was 14-over 230 for the three rounds. Elizabeth, Scott’s mother and caddie, helped get him back on track after he struggled during the first three holes. “I told him to calm down, and just focus on the holes ahead because you can’t do anything about what just happened,” she said. After playing the final six holes of the front nine at even par, he took away much of the suspense on the par-5 10th hole. His second shot landed over the green. No problem. He chipped it in for an eagle. Rohrer, who has autism, works on his father’s tree farm during the week, but finds plenty of time to play golf. He said the sport has been really good for him and has helped him make friends all over the world. Condon entered as the closest pursuer in the High Performance division, having shot back-to-back 82s. He was very happy with closing 80, even though in the end he was no match for Rohrer, one of his playing partners. “I like the competition,” said Condon, 23, who has Down Syndrome. Lagasse finished second to Rohrer for the third straight time at the USA Games. Anthony Salvati won the Level 5 stroke-play competition with a 241. Team Washington competitor Miguel McCoy improved each day in the Level 4 nine-hole stroke play competition, shooting 75, 68 and 66.